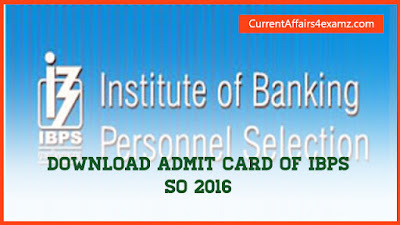 Hi Aspirants..IBPS on 12 January 2016 has released the admit card for its Specialist Officer (SO) Exam 2015. 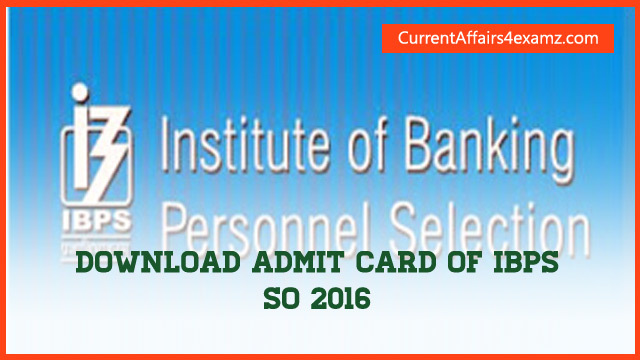 You can download the Admit Card by entering Registration No and Date Of Birth or Password. All the Best for the exam in advance.